Change sprinkler heads in less than a minute. 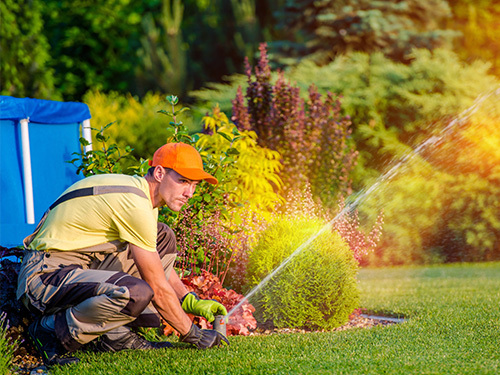 Change sprinkler heads in less than a minute without breaking a sweat. Have the peace of mind knowing it's going to work for years to come. A beautiful frosted matte finish. A gorgeous tool that helped me change 5 sprinkler heads in a few minutes. Does xTrax work with pop-up and rotor type sprinklers? Yes, xTrax works with both pop-up and rotor type sprinklers. Does xTrax work with side inlet sprinklers? 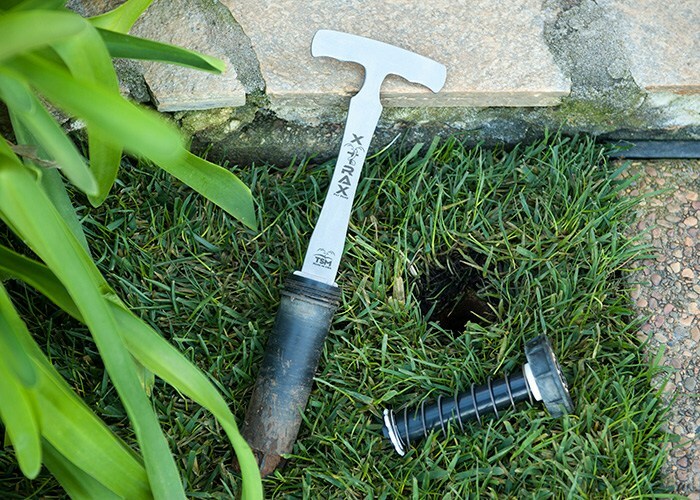 No, xTrax does not work with side inlet sprinkler heads. What is xTrax made of? 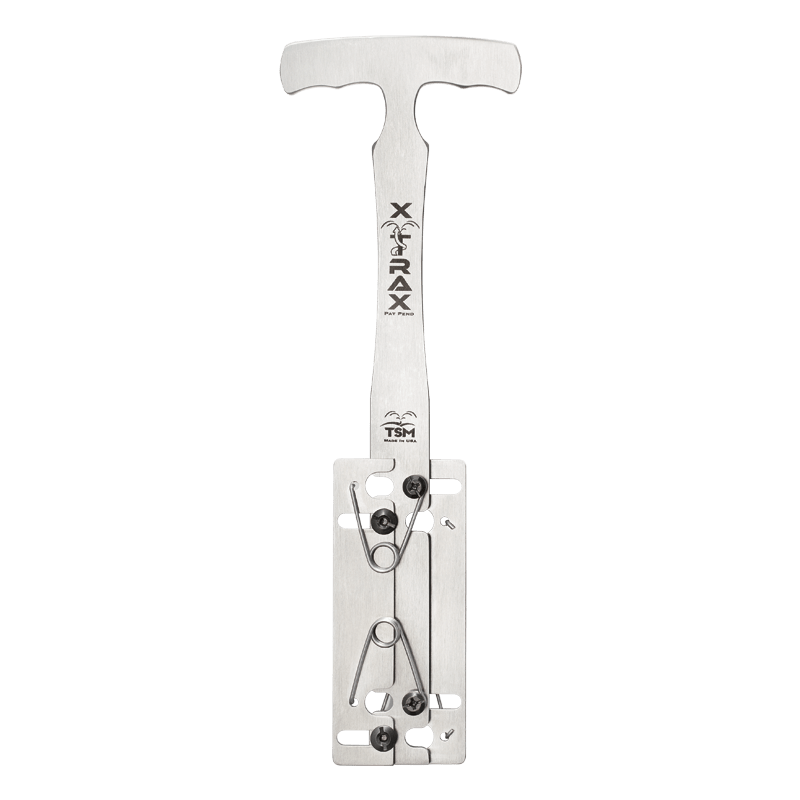 xTrax is made from stainless steel and built for professionals for everyday use. Will xTrax work with my sprinkler? 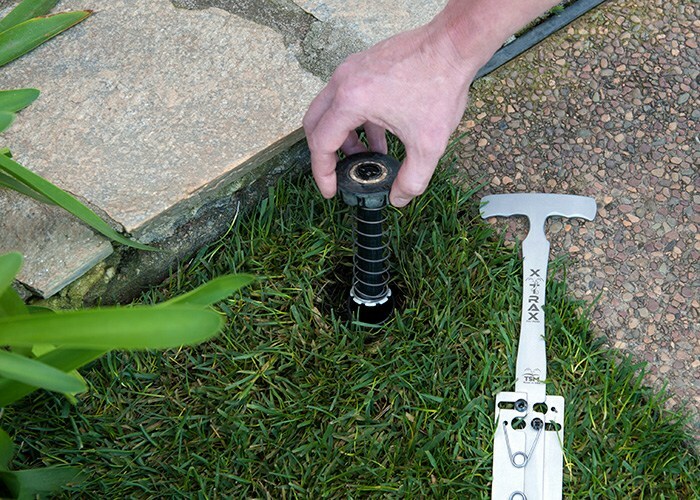 xTrax works with most pop-up and rotor type sprinkler heads 1" to 2 3/16" in diameter (ID). Who is xTrax made for? 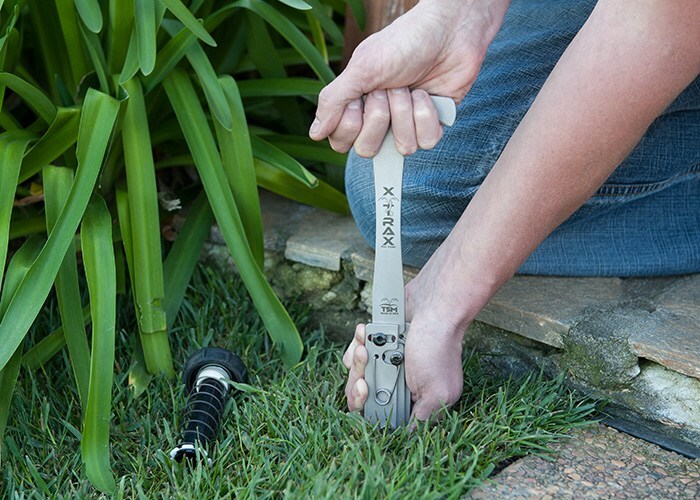 xTrax is super easy to use so virtually anyone can use it; however, it's best suited for irrigation professionals, groundskeepers, and handymen who have a need for the tool on a regular basis. Is xTrax really made in the USA? Yes. xTrax, as well as all of our other products, are proudly made in the USA. Visit our support page to get help with pre-sales and technical support questions.